When the tsunami strikes the Japanese seaside town of Omori-wan, the effects are utterly devastating. Three years later, much of what happened on that day is still a mystery. As Hotaka sets about convincing local performers to appear at the town's upcoming Memorial Concert, he finds himself increasingly haunted by memories of best friend, Takeshi, who perished without trace in the tsunami. Then his friend Sakura becomes involved in an anti-seawall movement, and all too quickly the protest gets serious. 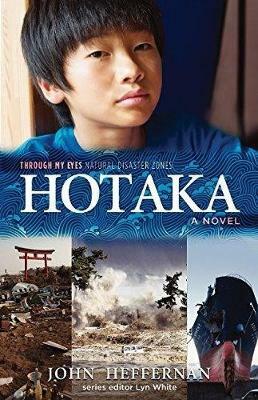 As the town and its people struggle to rebuild their lives, can Hotaka piece together what happened that day - and let go of the past? John Heffernan lives Australia. He has written more than fifty books for young readers, over a wide range of genres and age groups. His books have won numerous awards. A journey through Afghanistan led to an ongoing interest in that country, and inspired the writing of Naveed: Through My Eyes. John writes with integrity and honesty, and his experience as a teacher has been invaluable in his writing and in his relationship with his readers.Series editor and creator Lyn White has been a primary school teacher-librarian for more than twenty years before completing postgraduate studies in Editing and Communications at the University of Melbourne. Lyn is passionate about children's literature and has great expertise in engaging students with quality texts. Her work with refugee children motivated her to create the acclaimed Through My Eyes series of books set in contemporary war zones. Lyn created and edited the Through My Eyes - Natural Disaster Zones series to pay tribute to the courage and resilience of children who are often the most vulnerable in post-disaster situations. Lyn is also an education consultant and conference presenter.